← The word on “The Words” – movie review! Bonnie Jo Campbell has written a wonderful novel about a remarkable character, with a strong sense of time, place and people. 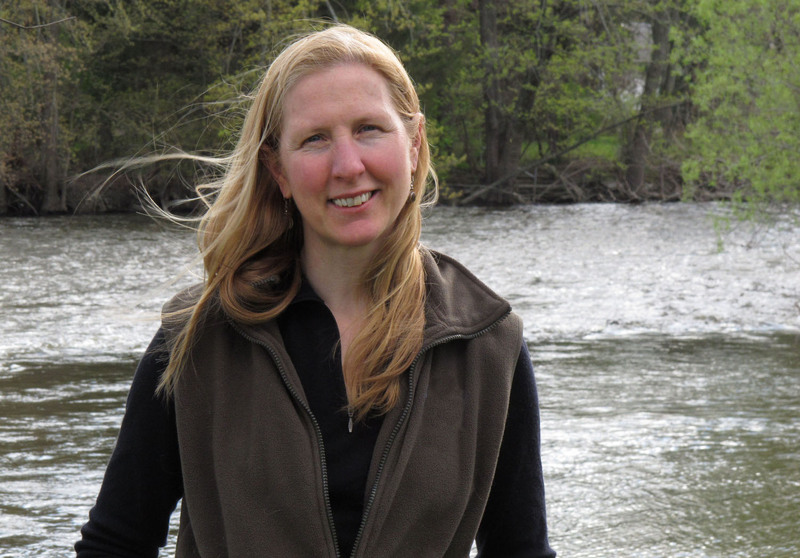 Margo Crane is the only child of an unhappy couple in a rural Michigan community. Her mother abandons them, leaving Margo to the loving, but not necessarily skillful, care of her father. Once Upon a River tells Margo’s story from age 16 to age 19, as she becomes a woman intent, despite much struggle, to live the life she chooses. A thoughtful girl who’s not much good in school, Margo is at home in the backwoods, a crack shot, good at hunting, fishing and foraging. Her hero is Annie Oakley. She values relationships and has a strong sense of right and wrong. Her blooming sexuality is both a blessing and a curse; it leads her into troublesome relationships with flawed men, but she always seems to learn something useful about herself from the experience. Margo’s adventures on the river begin with her father’s death – a death she caused, in large part, but in a way she could not have foreseen. She takes a boat and heads out, determined to find her mother. She pauses along the way, sometimes for weeks or months at a time, as she puts down roots, only to be uprooted and move along again. By the end of the novel, Margo has a home of her own and is soon to give birth. I was struck, when reading Once Upon a River, by the strong sense of individualism Margo displays. She manages on her own, but is not above looking for favors from others. Three times in the book she chooses to establish a sexual relationship with men for the security of a place to live and food to eat. And yet, she has genuine fondness and even love for these men, who all ultimately disappoint her. These experiences echo her mother’s path. Luanne has exchanged her beauty – which, at age 50, she has to work hard to keep – and her family for the security of her current marriage, with its modern conveniences, lake home, and fluffy towels. Her husband does not even know she has a child. The haven Margo seeks won’t be found with Luanne. Margo’s final relationship with a man has a similar “let’s make a deal” basis. She needs a place to live, somewhere to take an occasional shower. Smoke – elderly, wheel-chair bound, with lungs rotting away – needs someone to keep him out of a nursing home. But there is soon a very real love between these two and Smoke’s death was the single most affecting passage in Once Upon the River. 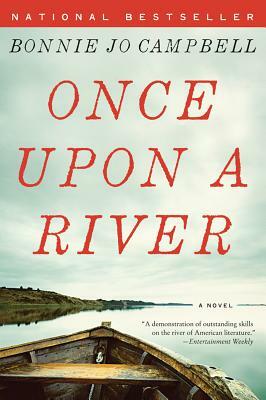 Once Upon a River was named one of Entertainment Weekly‘s Ten Best Novels of 2011, and it is now out in paperback, so get thee to your local independent bookstore for an excellent read. You’ll be lost in another world. This entry was posted in Commentary, Review and tagged Bonnie Jo Campbell, Margo Crane, National book award, Once Upon a River. Bookmark the permalink.